• Custom-made bathroom vanities, sinks, and cabinets. • Choose from 28 different door styles and 8 different wood types. Did you know we have the largest showroom of Bertch Bath vanities in the city of Pittsburgh? It’s true! We love the quality and craftsmanship that you get from Bertch cabinetry. All orders are custom made in the US with only the finest wood, furniture joints, and exceptional finishes. In fact, the Bertch Bath catalog has 28 different door styles, 22 colors and stains, and 8 different wood types to choose from. That is a lot of possible combinations! Bertch makes everything from single and double sink vanities, to linen cabinets and medicine cabinets, mirrors and more! Here is a link to the Bertch Bath website if you would like to look at some of the styles they have to offer. 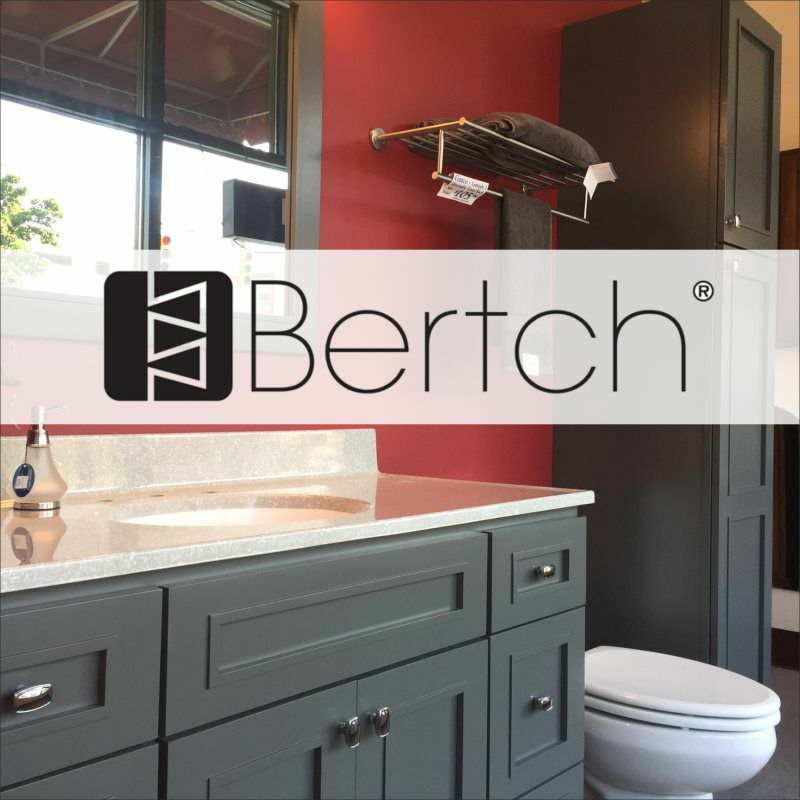 Bertch bathrooms are built to last; each one is backed by their limited Lifetime Warranty. We invite you to stop in and see all that Bertch has to offer in our Plumbing Department. Feel free to talk to one of our experts and we will help you through the process. Custom made Bertch Bath cabinetry typically takes about 3-5 weeks to be delivered to us after the items have been ordered.